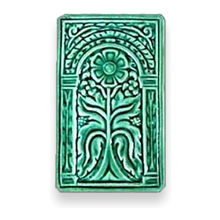 A full selection of Victorian inspired tiles available in patterns and fields with traditional and specialty glazing. Authentic reproductions of the letter AND number tiles found in New Orleans sidewalks. Made to last a lifetime, Mark Derby has been making these for the City of New Orleans since 2002. 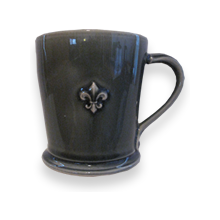 A variety of stoneware glazed with historically accurate colors and embellished with raised relief ornaments. 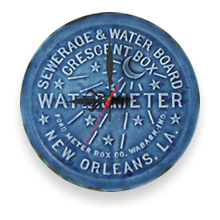 The famous New Orleans water meter cover reinvented in clay as a decorative wall clock in a spectrum of glazes. 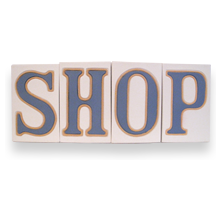 Also available as a tile, notched to hand.